If you are anything like me, I’m always looking for great agile tools to add to my arsenal. 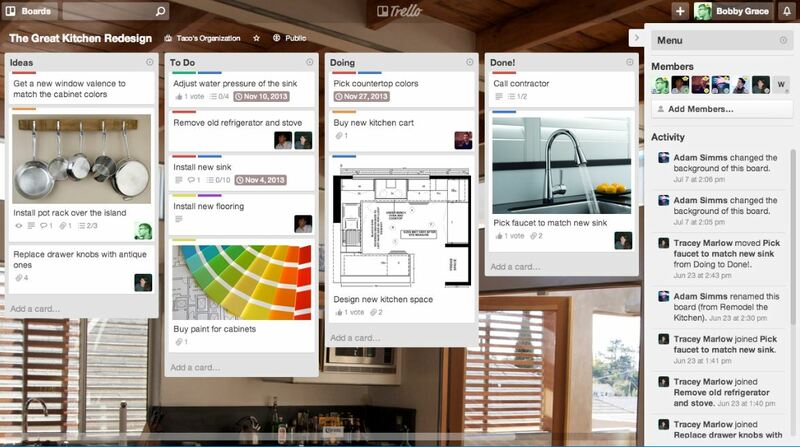 I stumbled Trello the other day and I must say I’m pretty impressed! So far I can say that it’s great for personal Kanban or small internal projects. And it’s free! Notable Features: You can easily invite people into your boards to collaborate, view version history, add pictures to cards, and create custom lists. There’s a guided tour function that is really helpful to give you a jump start into using the tool. Another feature I think is really helpful is the ability to create check lists within a card. This would be a great way to keep track of tasks within a story. My personal favorite feature is the ability to add a deadline to a card…So helpful for planning out a light weight project or really any small effort needing coordination. Enterprise Use: From what I can tell this would not be a great Enterprise tool due to some features missing like rolling up cards into epics or portfolios. I’ve heard this same feedback from 4-5 colleagues. However, my observations are based on the free version, not some of the paid options they have, which very well could have those additional features. Personal Use: I created a board for a home projects and invited my wife to the board. We can both individually add projects or honey do’s and change the order of the stack rang for our backlog. (It’s fun to see how we have different priorities 🙂 ) The mobile app works quite well and does pretty much everything I would want it to do from my phone. Conclusion: If you are looking to get more organized and incorporate some of the agile principles into your life and work, Trello is worth checking out! Next Article Do You Lean Coffee?